Please note. We can only deliver gas cartridges to Finland and Sweden due to shipping safety restrictions. 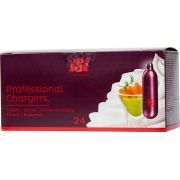 Here you will find professional quality soda sifons and cream whippers from the Austrian brand iSi. A cream whipper prepares whipped cream and desserts, as well as light and fluffy Espumas, finger food, warm and cold sauces and whipped soups. The whipper can be used for cold and hot preparations. The whipper uses N2O gas cartridges that whip the contents with the push of a lever. 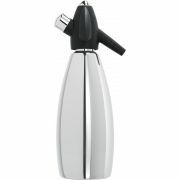 Prepare refreshing, sparkling water with a soda siphon. The siphon produces carbonated water, to be enjoyed as such or in sparkling refreshments and cocktails. 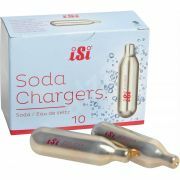 Soda siphons use CO2 gas cartridges.